If the Ferintosh parishioner of 1909 were to return in centenary year, how many changes would he/she observe in the church and its grounds? 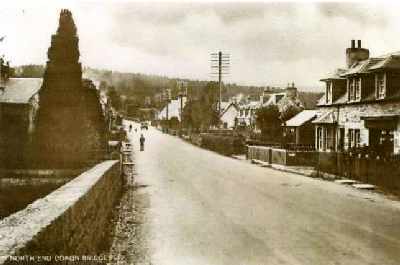 This postcard view of Conon Bridge, although probably from the 1930s, would present a more familiar view to our ‘visitor’ of a century ago. Subsequent improvements have led to the wall on the left vanishing in 1969 when the County Council created a car park adjacent to what became a football pitch. In 1968 the open drain to convey rainwater had been replaced by a pavement and this required the dwarf wall and railings in front of the Church to be re-positioned. The fleur-de-lis on top of the railings suffered from ongoing vandalism and were removed finally in 1997. The ornamental trees remain. The interior of the church offers some surprises with perhaps the main one being the lack of symmetry in the area of the pulpit. In 1962 the pews on either side, which stood at right angles to those in the main body of the church, were removed and a carpet was gifted anonymously for the newly-created area. The organ was re-sited to the extreme right, remaining there until 1977 when a larger organ was secured from a redundant church in Fife, causing a need to remove the set of steps on the right of the pulpit. This left part of the floor area looking somewhat unfinished and so new carpeting was laid, but renewed in 1988 and extended to the aisles at a cost of £860. 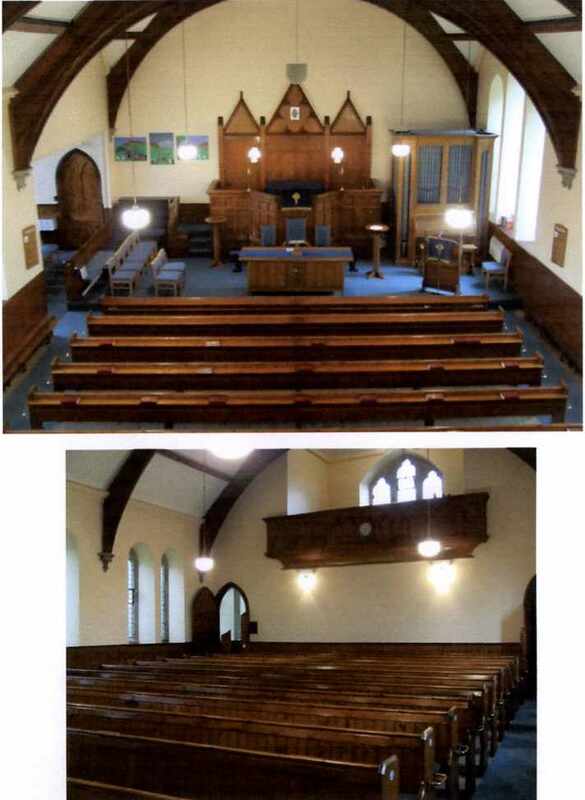 The 1909 wainscots were free of the fold-down bench seats which would have been attached at a time when there was a necessity to extend the capacity of the church and/or to double as guards over the electric heaters underneath. 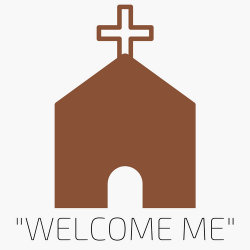 The church of 1909 is described as having a hall which we now call the annexe. This was separated from the main body by a shutter-type wall which could ascend into the roof space (and is rumoured to be there still). In 1981, Derek McLay replaced this structure with a beautiful wood-and-glass partition at a very modest cost of £200 for materials and this remained for some years until an expanding congregation outgrew the main body of the church and, sadly, it had to be dismantled. 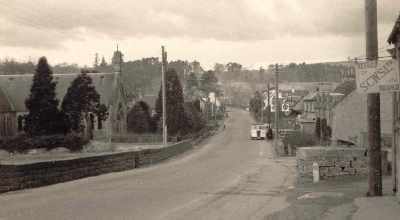 A year after the arrival of the Rev D R Macleod in the parish, he saw a need for a hall and proposed that one be built at the rear of the Church, but his newly-formed Congregational Board (until April 1962 known as the Board of Managers) felt that the redundant Parish Church in School Road could be adapted for this purpose. Following protracted correspondence between Church Headquarters and the ‘Superiors’ (Conon Estate which held the Title to church and site) agreement was reached in 1964 that the building could be used as a hall, on the strict understanding that the original terms adhering to the property were upheld, including, for example, no dances, no alcohol, no gambling! A Constitution was drawn up with Minister and Session Clerk as Trustees. The estimated cost of alterations to form a hall was £1,760 but, as ever, the total rose to £1,883. From 1964 onwards the hall was the venue for various organisations – Guild, Scouts, Guides, Cubs, Brownies, Youth Club, child welfare clinic, playgroup, chiropodist – and for Church functions such as the stated annual meeting. Photo courtesy of Nettie Roy. 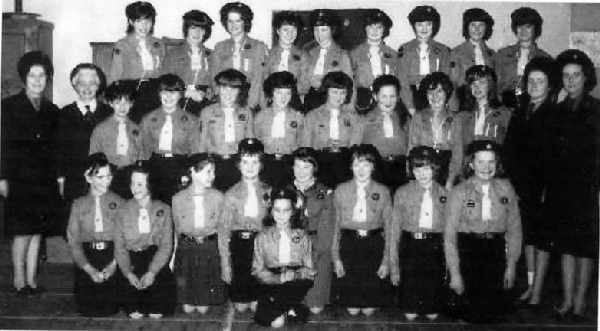 Conon and Maryburghb Guides 1965-66. Photograph courtesy of Margaret Olsen. Ever-increasing costs of maintenance (although, in 1972, the Youth Club had painted the interior of the hall and paid for the materials) plus lighting and heating did not meet expected income and so, in 1976, it was agreed to approach Conon Estate for permission to sell the hall as a house since by this time serious thought had been given to building a hall at the rear of Ferintosh Church. By 1977 the School Road hall had been sold for £6,800 and, coupled with the sale of the Urquhart Manse for £17,000 and its steading for £3,250, Ferintosh had a healthy sum vested in the General Trustees of the Church of Scotland. The General Trustees requested Presbytery that they approve releasing the entire sum towards the building of a new hall – for which the architect’s plan suggested a cost of £30,000 – but in view of the allocation of part of the parish to Resolis and Urquhart in 1976, Presbytery determined that one-third of the Urquhart property sale should go to Resolis. In August 1978 Ferintosh established a hall fund and set about fund-raising. By October of that year the fund had reached £22,126 and by March 1979 building was set to begin when weather conditions improved. In February of the following year the hall was at the stage of internal painting and was opened by W J Macdonald, a former Session Clerk. In March 1981 it was reported that there was “no debt on the new hall”. Rev D R Macleod at the opening of the new hall with John Lyall(?) and Donald Fraser. The entrance was on the gable side of the hall, facing the car park. The sound of rain on the corrugated roof caused problems during hall occupancy and so a false ceiling was added in 1985 at a cost of £1,400. By 1989 the Sunday School was outgrowing the hall and a caravan was purchased (£1,325) as additional space, functioning as such until 1990 when it was damaged by fire, owing to unauthorised occupancy by a ‘rough sleeper’. It was sold for scrap for £20. During these years it had become apparent that an extension was required and the necessary building work was completed in 1990 at a cost of £23,221. Planning permission had been granted on condition that the beech tree at the rear of the hall must not be cut down – and the same tree continues to be a source of annoyance to those who annually remove its leaves from the gutters! Two anonymous donations consisted of curtains and a carpet for the entrance hallway, while the Guild contributed fifty new chairs. In 2001 a carpet and comfortable chairs were provided in what is known, colloquially, as ‘the posh room’ for the benefit of baptismal groups, and baby changing facilities were included in the female toilets. The bird population found the roof most accommodating for nesting purposes and while the occupants were not evicted during the breeding season, their homes were cleared, entrances blocked and new rhones installed at a cost of £1,930 + VAT ! By 2002 it had become apparent that an expanding congregation required an extended hall and so the Congregational Board embarked on the familiar exercise of obtaining plans and raising funds. The end result – at a cost of £54,694 – is a bright, large, main hall, adequate storage space and a modern kitchen capable of coping with all sizes of functions, from coffee mornings to congregational meals.